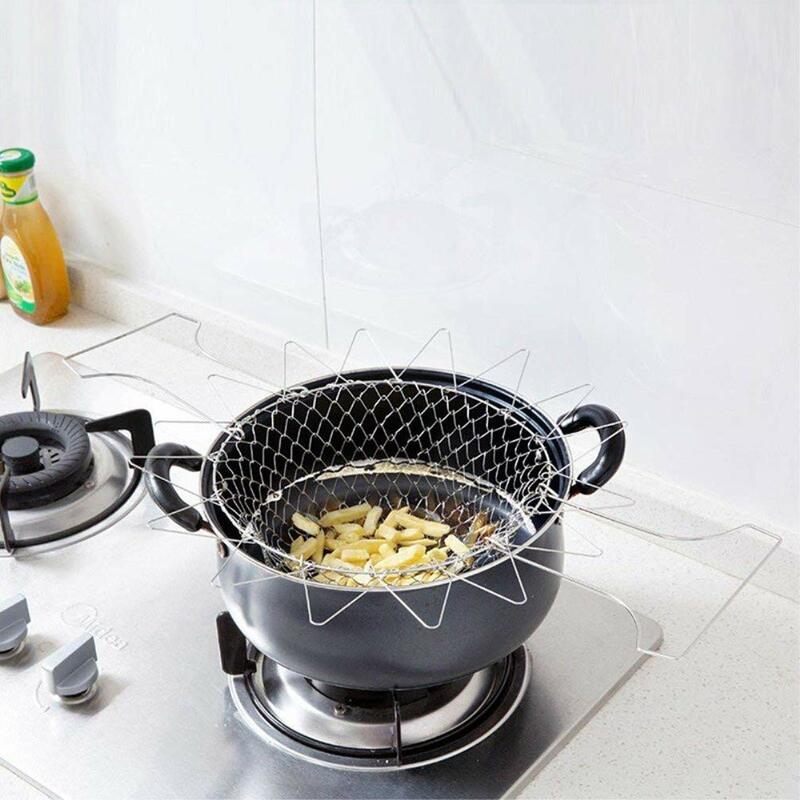 Strain your meals the easy way with our Foldable Steam Fry Strainer Basket. This foldable strainer fits right in your pot while your food cooks. When you're ready to strain, just pull the strainer out and set it down. It will fold open for easy access to your food! Cast from high-quality 304 stainless steel, electrolytic polishing on the surface, durable and useful, as bright as a mirror, rust, and distortion resistant. Can be used to store fruits and snacks, it also can be used to fry potatoes, chicken and other fried foods. Great helper for the kitchen.